WordPress certainly doesn’t need any kind of introduction amongst bloggers and designers. Today there are hundreds of wordpress blogs around the web some on shared hosting and some on dedicated server. To stand out among these is in itself one of the most difficult task a blogger would find itself in. Ofcourse posting articles of high quality is the answer to standing in the elite group, but along with quality you also need other things so that your readers could expect really different things in your blog. Then that difference can be as little as the color of the comments. What is a Hack in WordPress: A way of doing something that involves adding quick-and-dirty bit of code to make a piece of software do what you want, rather than using a prepackaged (and possibly more elegant) solution like a plugin. For answering all such questions we have compiled here some of the most essential worpress hacks that could make your blogging life easier and help you getting the best out of WordPress that too without using any plugins. Most WordPress users are using custom fields to display thumbs on their blog homepage. It is a good idea, but do you know that with a simple php function, you can grab the first image from the post, and display it. Just read on. First, paste this function on your functions.php file. <p><a href="<?php the_permalink() ?>" rel="bookmark" title="
Most blogs automatically displays some text after each post, for exemple to ask readers to subscribe to their rss feed. This text is very often hardcoded. Why not using function.php instead, and be able to keep the text when you’ll switch theme? To achieve this recipe, simply paste the following code in your functions.php file. By using functions.php, you’ll not have to re-insert this code if you switch themes. Why not giving a special style to the posts published less than 24 hours ago, to let your readers know about the fact they’re new? Here’s a simple code to do it. By using the codes below in your single.php file, you will pull the information from the post author’s profile on your blog and show a bit about them. This is especially useful if you’ve got a lot of authors on your blog. You can change the number 5 the amount of posts you want to show in your page. You can also display full posts by changing ‘the_excerpt’ value to ‘the_content’. WordPress loop is very powerful, as well as the query_posts() function, which allow you to specify some parameters for the loop to retrieve posts. Though, there’s no built-in function or parameter to get posts between two dates. Let’s solve that. Open your index.php file and find the loop. Just before the loop starts, paste the following code. Of course, don’t forget to change the dates on line 3 according to your needs. Paste the following code in your functions.php. Comment that contain any of the words contained within the $bad_comment_content array will be automatically rejected. Your comments are now numbered! delete more than 6000 spam comments that you received on your blog. All non-approved comments will be deleted. But instead of having such trouble next time, you should definitely install Akismet! This is useful to make the author comments pop in the comment section, so the readers find the answers to their questions quicker. It can also avoid people pretending they are the author by commenting with his name. To style the author’s comments differently, you should open the comments.php template file and look for this piece of code (or something looking like it). Replace it by this one. Then you can style it in your stylesheet with something like this. You might want to have alternating row colors for your comments, to make a clearer separation. Alternating rows make it easier to distinguish different comments. Doing this is relatively very easy. At the VERY top of comments.php file, put this on a line of it’s own. Recent comments are very helpful for readers to comment on any topic about any ongoing discussion. To display your most recent comments, you will have to modify your functions.php file from the theme folder. If the functions.php file is not present, make a new text file, name it functions.php and add it to your theme folder. Add the following code to it and save the file. Now, wherever you want to show the list of recent comments, just add this code. Trackbacks are the messages displayed in the comments list whenever another blog links back to one of your posts. If you use trackbacks on your blog, it is best if they are not mixed with the comments. The comments are a conversation between real people. Having machine-generated links in the middle of that will only serve to disrupt the conversations. In order to separate the comments and trackbacks, you just need to follow these steps. Now your list of comments will continue to display as normal, but without any trackbacks or pingbacks. Now we will add a second comments loop for the trackbacks. Some themes requires that you fill a form field with a category ID. It may be easy to find a category ID if you’re an advanced WordPres user, but what about beginners? Here’s a very simple manner to find any category ID. 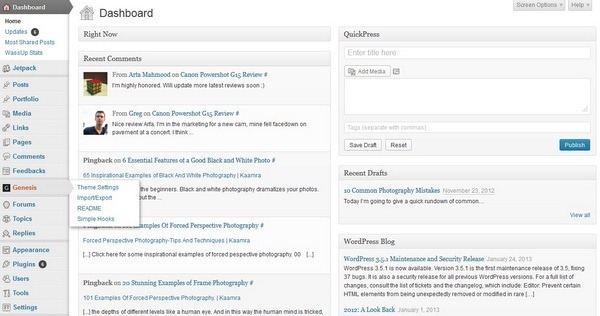 Once you’re logged in your WordPress dashboard, go to Manage and then in Categories. Simply put your mouse cursor on the “edit” link related to the category you want to know the ID and look on your browser’s status bar: As you can see on the screenshot below, 1 is the id of the category. In many cases, users only want to display certain categories in their navigation menu at the top of the page. There are limited spots, that can only be filled by top categories, but if you use the default wp_list_categories code, it will show all categories. This is why this hack below comes in very handy when you want to create a navigation menu and only display certain categories. Note, you can also change the ‘include’ text to ‘exclude’ and show all categories and exclude those that you don’t want displayed. The numbers displayed in the code are the category IDs. Remember since WordPress shows categories in a list format, you will need to edit the CSS in order to make it work. I never liked tag clouds, for the simple reason that most of the time, they’re aren’t readable properly. Here is the solution to this problem: Displaying tags in a dropdown menu. If for some reason, you’d like to exclude some categories from searches, you have to tweak WordPress a bit because there’s no built-in solution to this problem. Happilly, here’s a code to do that job! Depending to your blog structure, it may be interesting to exclude some categories from your rss feeds. If you always wanted to find a clean way to do it, I’m pretty sure this recipe will make you happy. Before starting to code, you’ll have to know the numeric ID of the categories you want to exclude. If you don’t know how to get the ID of a particular category, just read the first post in the category “WordPress Tags,Categories and Archives Hacks”. Once you have the ID of the categories you want to exclude from your rss feed, open the functions.php file from your theme. If your theme doesn’t have a functions.php file, create one. The stadard wp_list_categories() functions echoes a list of all your categories. Let’s see how we can easily force the display of categories on two columns. Then, just save the file, and enjoy! WordPress users know it: Search is definitely one of WordPress weak point. Today, let’s see how to get the number of results the search returned, and display it (proudly!) on our blog. When you search on Google or any other major search engine, the words you searched for are highlighted in the results to make it easier for you to scan. We can do the same with your search results page. Sometimes you may not want your search results to be limited by the confines of the standard WordPress Loop. This is a quick code hack to allow a search to return unlimited results, altering the standard WordPress Loop by using a custom query. You can do this in a few different ways. If you have a search template, in search.php you can simple add the following line of code above your Loop. In this post I will be highlighting the manual codes that we can use to create share buttons for Retweet, Digg, Buzz, DesignFloat, StumbleUpon, FShare, Delicious, DZone, Reddit, Technoraiti. Are you using feedburner? Probably yes, just as a lot of bloggers do. If you don’t like the chicklet dedicated to display your feedburner count, just read this recipe which is a new method to get your feedburner count in text mode. If you’re on Twitter, you probably display the number of your followers on your blog, using the chicklet from TwitterCounter.com. Today, I’m going to show you how to display your followers in full text mode. Then, simply paste the following anywhere on your theme files. Just replace our username with yours. To achieve this recipe, login to your PhpMyAdmin, select your WordPress database and click on the “SQL” button to open the SQL query window. Then, paste the following code in the window textarea. Don’t forget to modify the password and username before executing it. Also, make sure you have a backup of your database before executing any SQL queries to your database. Are you on Twitter? I am. This service make an intensive use of tinyurls in order to reduce the size of urls. Why not provide automatically provide a tinyurl to your readers so they can use it on Tweeter? Many blogs displays the current date on their blog header. It looks profesional, and it is also useful, especially if your blog posts are dated. Here is a very easy way to add today’s date on your WordPress blog. Do you ever asked yourself how long it took for your page to load, or how many sql queries were executed? If yes, here is a simple code to insert on your template. In order to secure your blog, is it a good thing to hide the meta version appearing within the and html tag of your blog. Since WP 2.5, the version is inserted automatically, and can’t be removed as easily at before. Except if you use that hack ! 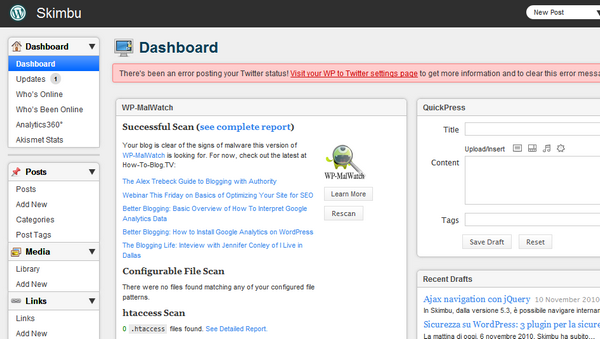 If Anything Missing related to wordpress hacks let me know. If you have any suggesion on this topic please post in comment section we will try to improve our topic and content. Passing 1z0-046 exam is not difficult if you have accurate resources. Just go through the braindumps and pass your 642-902 in first attempt guaranteed. Great bunch of solutions! Thank you for sharing. For content heavy sites going through the default format of categories / tags can get very tedious. Perhaps you could add a tip on how to add a year-wise dropdown of articles? Some of these will come in very handy! Thank you! When I comes to HTML modifying, I am on to it! 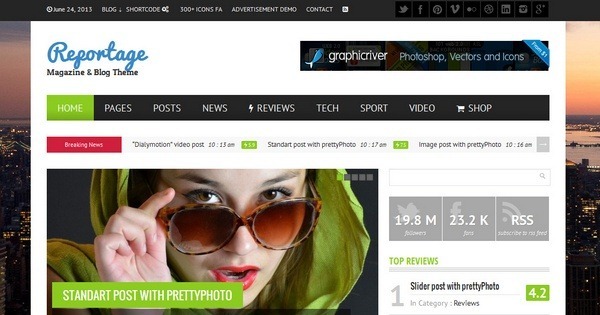 I tried some tweaks and I would say, this is really recommendable for other WP webmasters! Keep it up!